Today we visited Kitchen by Food Rebel. 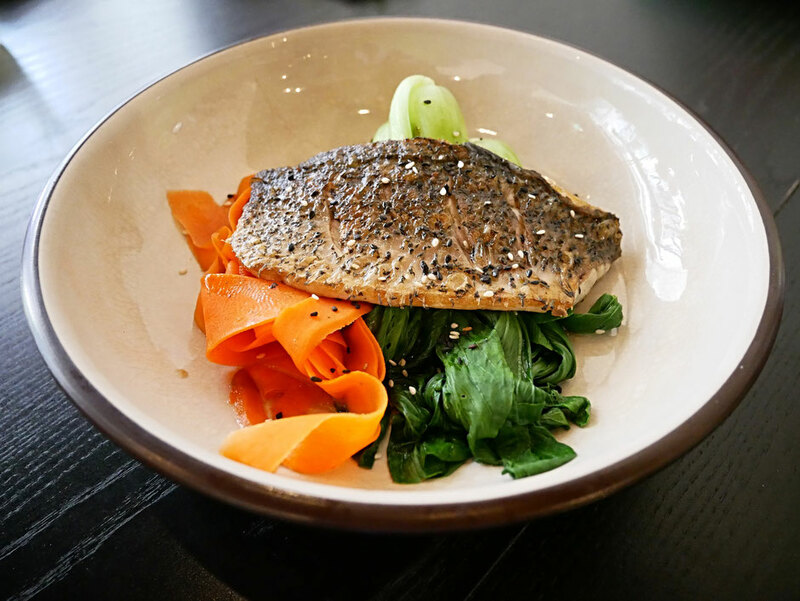 This café, in the heart of the CBD shop house district on Stanley Street, was founded by Elika Mather, a nutritionist who left the corporate world to set up Kitchen as an answer to those seeking good quality, healthy, organic cuisine. We visited on a bright Wednesday lunchtime and the café was packed with trendy 30 somethings from the local neighbourhood that looked very much like they were clued up regulars. 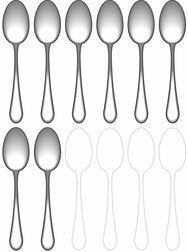 So far the record number of spoons is 8 by COMO Cuisine and SuperNature Café so, let us see how Kitchen stacks up. First things first, we were delighted to see bone broth on the menu. This is the first time we’ve ever seen anyone selling it in Singapore. 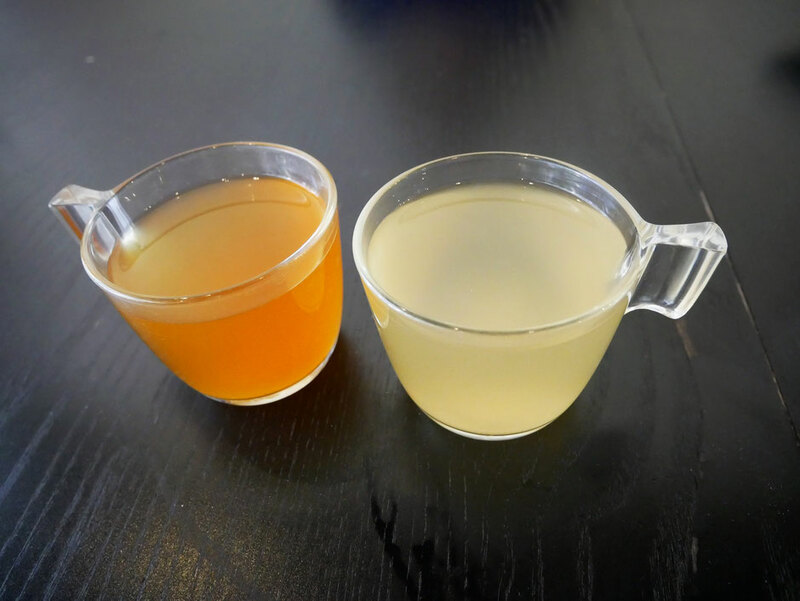 Traditional homemade bone broth is a nutritional power house and one the best ways to assimilate vital vitamin’s and minerals quickly into your body. Its also a super source of collagen, something that most people are deficient in. On the plus side this was organic bone broth but on the downside, it was dehydrated in a powdered form and very weak tasting. If you’re new to broths then, it would be a good inoffensive place to start. For my main I had the Sustainable Barramundi with Vegetables. The carrots were awesome, sweet, crunchy and obviously from a good quality organic source. The bak choi was fine – not really any different, taste wise, from how back choi would be served in most Asian restaurants. The sustainably caught barramundi was very tasty but slightly overcooked so it was a little rubbery. This was a super low carb and low fat meal so I ordered an avocado on the side, which was perfectly ripe, to cover the missing fat option and I’d save the carbs for dessert! We also went for the Chicken Protein Bowl which was a medley of hormone free chicken, hummus, avocado, pumpkin, carrots and tahini dressing. It’s a simple, low carb, dish that is a good way to get a whole bunch of raw veggies into your diet at lunchtime. It is also of a reasonable size which is important if you’re going for a salad at lunch. 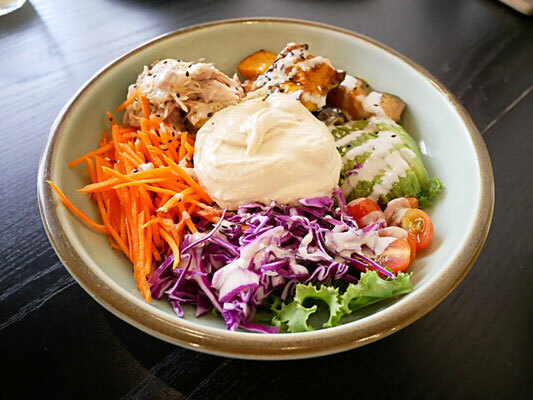 Most chicken salads are far too small to fill you up and whilst, most people think they are being “disciplined” by only having a small meal at lunch they are in fact setting themselves up for failure and reaching for the office cookie jar in the afternoon. Eat big, eat well, and then you won’t need to worry about cravings for unhealthy snacks. We also topped this salad up with a side order of roasted sweet potato cubes. 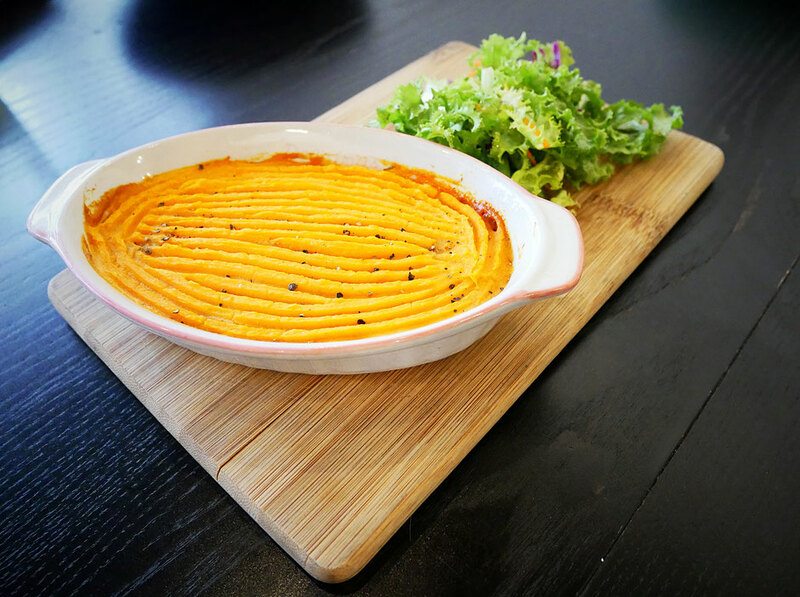 They were the least starchy orange sweet potatoes which keep their moisture well after being baked. These had a good texture, were not overcooked and went down a treat. Quite a different offering to the sweet potato wedges at Real Food Cafe so feel free to try both and see what you prefer. Lastly, we had The Rebel Pie, grass fed Aussie beef Bolognese topped with a sweet potato mash. The Bolognese was not really an authentic Italian Bolognese or an English Shepard’s pie type of mince but it was appetising nonetheless. It went well with the sweet potato mash on the top which made a nice change from potato. I’m not sure why they switched the topping from potatoes to sweet potatoes but if I can hazard a guess its because of pandering to the low carb paleo crowd and the dreaded GI index of potatoes *gulp*. Desserts next. 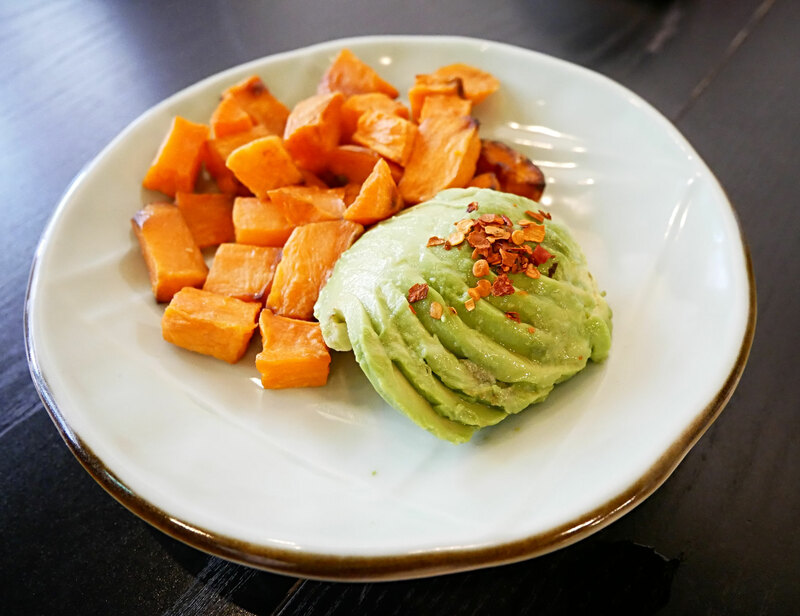 They have a dessert display similar to other healthy food cafes and we were immediately impressed with the ingredients used here. The Lime and Avocado cake also contained coconut oil, dates, sunflower seeds, pumpkin and desiccated coconut sugar. Thankfully no agave in sight! It was really fresh, tangy from the lime and the base was more like a swiss granola than a biscuit cheesecake kinda base. It was sweet enough for us but the dates alone might not be satisfying enough for those used to more conventional desserts. However this would be a great step in the right health direction if you’re looking to level up from the usual coffee shop offerings. 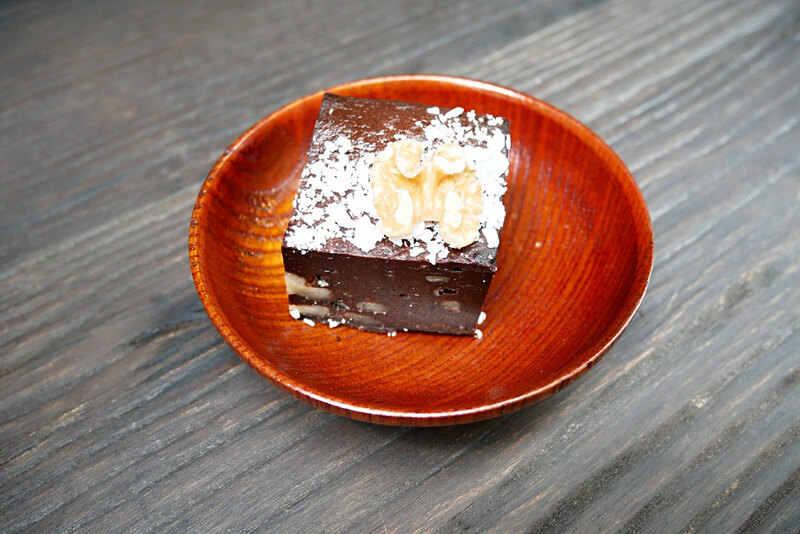 The chocolate brownie contained almonds, cacao, egg and gula melaka and was awesomely authentic. It was very moist, not too sweet and very very chocolatey. A massive thumbs up all round for this one. 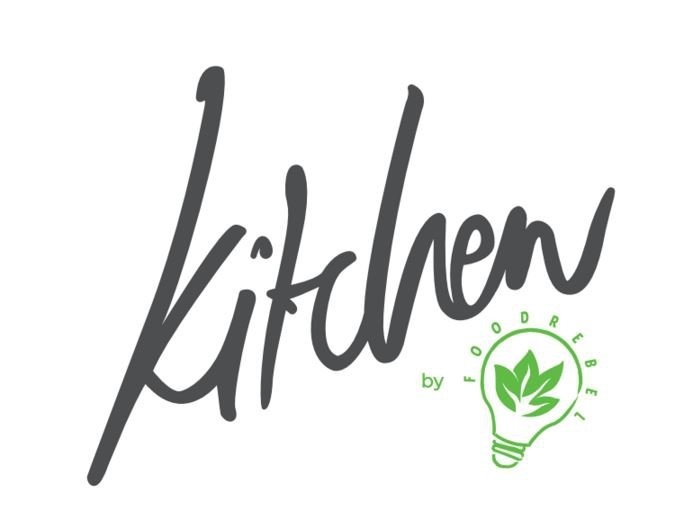 So great work from Kitchen, this is really a huge step in the right direction. 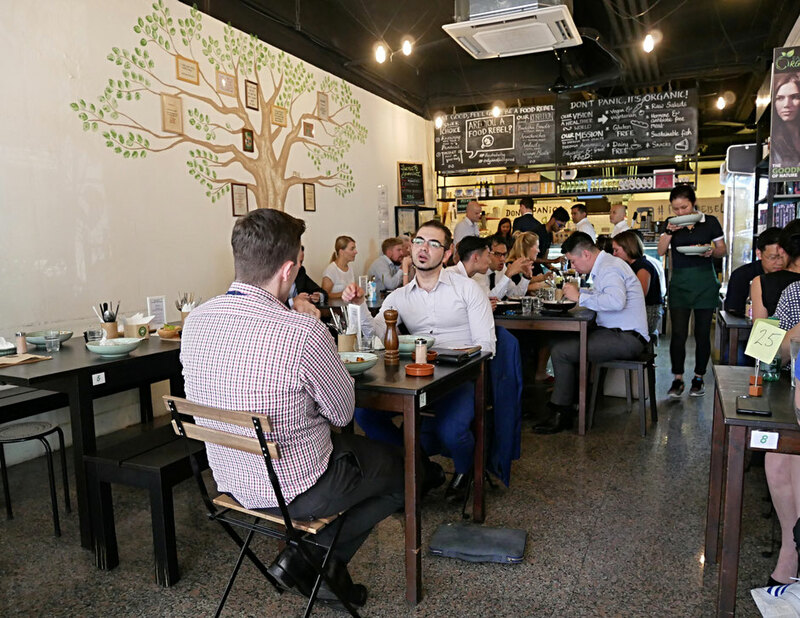 The fact that it was packed on Wednesday lunch is a good testament that healthy, organic food is increasingly in demand in the CBD. The prices were reasonable considering they were just a couple of dollars more than the plethora of non-organic alternatives. That’s certainly worth paying to get more nutritious and tasty food without an added dose of pesticides, fungicides and chemical fertilisers! 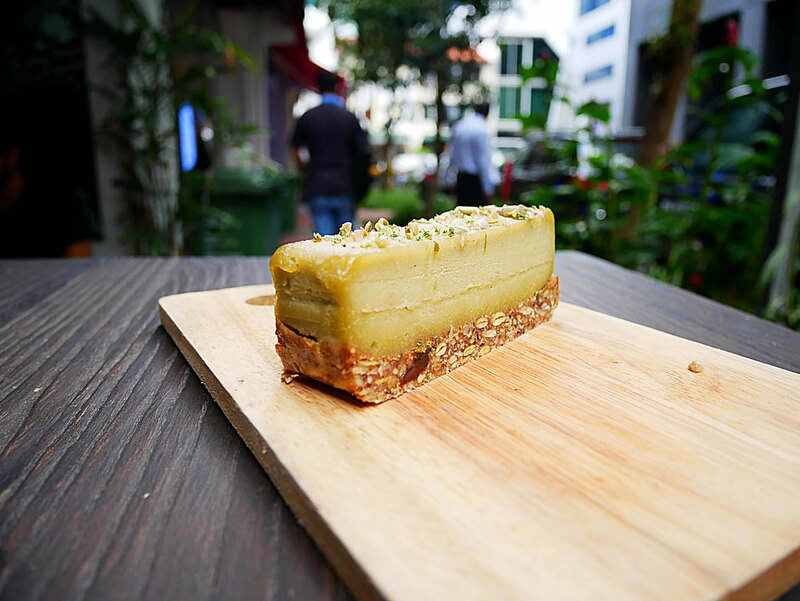 If you would like to find more healthy eateries in Singapore then check out more reviews here.